Good progress on the goat barn means looking ahead to moving the girls in. The new barn isn't connected to any of our paddocks, so we have to consider how they will access pasture with the ability to rotate them. Below is the area under discussion. Overhang on the back of the barn highlights the area needing fence. The existing original fence is now in pretty bad shape. This was our first fence, built in the summer of 2009. We used cedar posts which are now pretty loose in the ground and welded wire which isn't the best option for livestock of any kind. Bracing cross members have decomposed quite a bit too. Sections of the fence were temporarily taken down to pull logs up out of the woods, so the fence is in pretty poor condition in general. Since it's time to re-do anyway, so we may as well re-do in an accommodating manner. Black and green are existing, blue is proposed. Fencing and pasture improvement are two of our most important goals for this year. The plan is to finish the goat barn and then get to work on these. We'll start right there at the barn. We've had a few breaks in the frigid winter weather and have certainly taken advantage of it to make a little progress on the goat barn. 1st exterior wall on the milking room with 1st coat of barn paint. We buy the plywood a few sheets each payday and then put them up as weather allows. Working in sections is best anyway, because Dan doesn't like to put them up without painting them. Windows, battens, and other trims will be added later. white walls brighten and reflect the light. On days when the weather is less cooperative, Dan can work under roof. He started with the wall between the milking room (before photos of that here) and the goat area. First project was a pony wall. a neighbor and railing from our original front porch. The gate. Made from home-milled lumber. On the other side of the gate he started building the feeder. Little Barn (photos here) with a few modifications. beats an ice cold glass with freshly baked cookies. 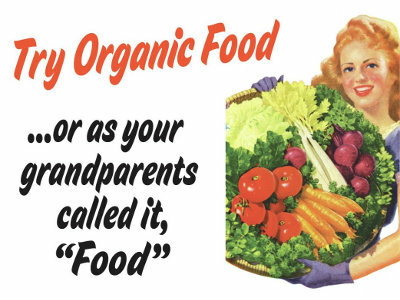 One question I had when we first started producing our own food, was how to have a year around supply of everything. In the beginning I canned, froze, or dehydrated all the vegetables, fruits, and eggs I could. As we shifted toward a more seasonal model of living, I began to build my menus around what was producing well rather than what was stocked in the pantry. This shift in eating habits shifted other things as well. By that time I had learned what grows well for me and what doesn't. Initially I wanted to grow a large variety of foods, but by focusing more on seasonal eating I realized I didn't have to grow dozens of different fruits and vegetables, because our variety is seasonal. Just about the time we're tired of one thing, it's done and something else is ready to eat. them if I've got them, or plan meals without them if I don't. I can have variety in other ways too. For example, I save both watermelon and cantaloupe seeds, but we can only eat so much melon. Rather than devote a large amount of garden space to growing both, I grow watermelons one year and cantaloupes the next. Planting every other year also works well for things that tend to cross-pollinate, such as cantaloupes and honeydews. I still preserve foods, but by focusing more on extending my gardening season, I can preserve less, which is a time and energy saver. Even so, I combine my biennial plantings with my food preservation plan. One year I grow enough green beans to can two years worth. The next year I grow enough black turtle beans to dry two years worth. These space and work savers help me manage my time and energy better. And then there's milk. The traditional way of preserving milk is as cheese. It's a rare person who doesn't love cheese, after all, and most folks like to take a break from milking. However, fresh milk is one thing I would really like a daily supply of. Why? Two reasons. Most importantly, feeding my kefir. Secondly, because I find it easier to make fresh cheeses to eat as we need them, rather than going through the business of waxing, aging, and storing them (things challenging to do in our hot humid climate). So what are the options for having a year around supply of milk? Dairy animals require a two-month break at the end of their pregnancies to let them put all their nutrients into their soon-to-be-born young. One way to keep the milk supply going is to stagger breeding and birthing. In fact, that's what I tried to do this year. Last year Anna was bred a little later than the others, in hopes she'd still be giving milk while they are dry. Alas, she's pretty much dried up herself now, with less than a month until my first due date. So that's an experiment that didn't quite work out as I hoped. Anna gave me milk for about seven months, but some does don't dry up as quickly. Some will produce milk for as long as two years or more. These individuals make good candidates for breeding every other year. With an extended lactation, it's possible to "milk through" the breeding and kidding season without taking a break. Some Kinders are capable of this, but none of my goats so far has had this trait. The other option for me would be to breed twice a year. Once for spring kiddings, and six months later for fall kids. Most goat babies are born in spring after a fall breeding. Kinders are aseasonal breeders, however, which means they can conceive and kid any time of year. If I bred half my girls in fall and the other half in spring, it seems I'd have a better chance at having year around milk. So that's the plan, assuming no one gives birth to quads and needs all her milk to feed them. I have one yearling doe that will probably be ready to breed late this spring. If that works out, maybe next year I'll achieve my goal for year around milk. The Back to Basics Living Bundle sale ends at midnight tonight (Central Time), so I thought I'd wind up my week of book reviews by mentioning a couple of other things that I think some of you might be interested in: gluten-free baking and how to make money on your homestead. 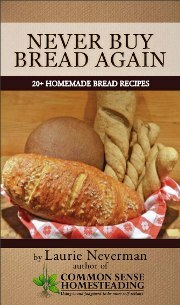 Never Buy Bread Again: 20+ Homemade Bread Recipes by Laurie Neverman isn't a gluten-free cookbook, but does include gluten-free recipes like Coconut Flour Bread, Brazilian Cheese Bread, Gluten Free Sandwich Bread, and Gram Irene's Cornbread. Some of the recipes give the option of wheat flour or gluten free blend. The chapter entitled "To Gluten or Not To Gluten?" really lays out the various problems people have with gluten, and also the problems with so many of the commercial gluten-free products. Extra recipes like Beer Cheese Fondue and Chicken and Dumplings are a nice touch. 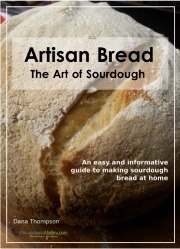 In Artisan Bread: The Art of Sourdough author Dana Thompson states that she makes sourdough breads because members of her family are gluten intolerant. Gluten begins to break down in the souring process, so depending on one's type of intolerance, sourdough bread may be an option. She discusses all aspects of sourdough in great detail, and I was also interested in the instructions for dehydrating sourdough starter. That could be useful! And speaking of bread, you're going to need something yummy to top your next loaf of fresh hot homemade bread and what better than a flavored butter! DIY Homemade Butters by Kristina Nelson has something for everybody: Cinnamon Honey, Herbed, Cranberry, Whiskey Blue Cheese, and Garlic butters plus a recipe for a dry Italian seasoning mix. This little eBook is a nice addition to the bundle. 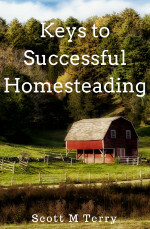 The biggest challenge to homesteading is the reality of money. Most of us have at least a mortgage and so while we work toward self-sufficiency, must still have a job to pay that plus meet other expenses. If you're fortunate to have your place paid for and have no debt, you are fortunate indeed! Even so, money is still a necessity. The Back to Basics Living Bundle offers a couple of resources for those trying to figure out how to make a living from home. 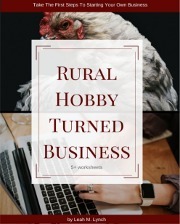 Rural Hobby Turned Business: Take the First Steps to Starting Your Own Business by Leah M. Lynch will take you through the steps to do just that. Starting with assessing your dream and turning it into a vision, the author gives you the practical steps and advice to make it so. Teaches you how to analyze profitability, make hard decisions, and gain visibility to grow your business. 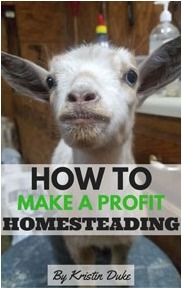 How To Make A Profit Homesteading by Kristin Duke offers a practical, personalized approach to analyzing and adapting your homestead resources for making a profit from them. It includes two spreadsheets: Profit Projection and Revenue Expenses Tracking. You also get access to online videos that teach you how to use them. You will learn how to trace your most profitable homestead activities and how to predict your ability to earn from them. If you decide you don't like it, it has a 30-day money-back guarantee. Thank you to everyone who purchased the Back to Basics Living Bundle through my blog; I very much appreciate it. All earnings will go toward finishing the barn! The Back to Basics Living Bundle is mostly eBooks, it's true, but it also contains several online courses. 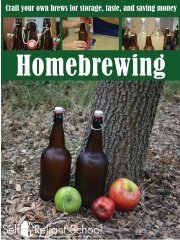 Bill Osuch's Homebrewing eBook Package is one of those courses. Bill and his wife Jennifer founded the Self Reliant School which offers numerous self-reliance courses. This was the one they chose to include in the B2B Living Bundle. The PDF file included in the bundle download is just two pages. The first is the cover as you see on the left, and the second page is a link to the course itself. You sign up with your first name and the same email addy through which you purchased the bundle, and you're there! Included in the course is Bill's 85 page downloadable, printable eBook, access to 5 homebrewing master class videos, plus a bonus handout with root beer recipes! The videos correspond to the first seven lessons in the eBook. The course begins with a thorough discussion of the equipment you'll need. Lesson 2 discusses yeast. I've been a bread baker for a very long time, but I learned a whole lot about yeast, its fermentation phases (which explains why you can't make an alcoholic bread), the various types (baking, champagne, ale, mead, wine, and wild yeasts), and tips on making it work well. You learn how to make a ginger bug with wild yeast, proper sanitization technique, three techniques for dechlorinating water, and how to use a hydrometer. Then it's off to the kitchen. Lesson 3 teaches you how to make fruit soda, with recipes (watermelon mint soda anyone?) and discusses various additives and sweeteners. Lesson 4 covers sodas made with roots, herbs, and spices. One of those is wild black cherry bark, which we have growing around! Apparently it's a traditional root beer ingredient and helpful for coughs and colds. He also covers how to bottle soda and troubleshooting problems. Lesson 5 teaches you how to make hard cider, and lesson 6 shows you how to make your own cider press. Those things are very expensive to buy, so this is great additional information. Lesson 7 covers blending apples, tepache, problems, and how to make apple cider vinegar. The following lessons cover mead, wine, beer, and hard liquors (not to make your own, but how to use them to make your own infusions, such as vanilla bean extract, and liqueurs). 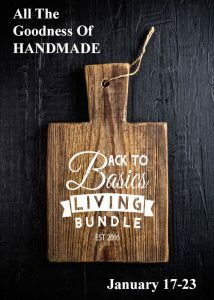 For my blog post listing all the eBooks in the Back to Basics Living bundle, click here. Tomorrow is the last day that the bundle is available. So one more Back to Basics Living Bundle post, and then I'll be on to other news. Dan's and my first garden on the homestead was huge. It seemed like the right thing to do to become food self-sufficient, but eventually we figured out that it was just too much to manage. If the garden was all we had to do, then sure, it would have been great. But we have other things going on: livestock, home repair, building projects, lumber making, field crops, haying, food preservation, and other self- sufficiency projects like expanding our rainwater collection system, etc. Plus my writing and Dan's job. There just aren't enough hours in a day. We cut back on the size of the garden, and I cut back on the variety of vegetables we were growing. Also I stopped experimenting with new seeds, deciding to focus on what I knew grew well in our little part of the world. I also knew we'd need to learn ways to extend our growing season and garden more efficiently. 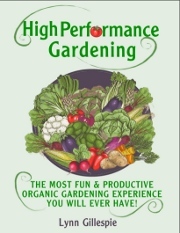 That's why I was glad to find High Performance Gardening by Lynn Gillespie in this year's Back to Basics Living Bundle. What is a high performance garden? The author defines it as a garden that grows in harmony with nature, is disease and insect resistant, has few weeds, requires low time and energy inputs from the gardener (and with only a few tools), utilizes all available gardening space, produces huge yields, and is fun! Isn't that everybody's dream garden? But isn't that what all books on gardening promise? What makes this one any different? Rather than focusing on specific vegetables, the author deals with concepts. Twelve characteristics of high performance gardens are discussed in detail, supported by science and experience. "There is a meter called a refractometer that can measure the amounts of dissolved solids in fruits or vegetables to tell you which fruits or vegetables are more nutrient dense than others. The higher the reading on the refractometer the better quality the fruit or vegetable. . . a poor tomato would have a Brix index of 4, an average tomato would have a Brix index of 6, a good tomato would have a Brix index of 8 and an excellent tomato that would make you jump for joy would have a Brix index of 12." A chart of how various grades of vegetables register on the Brix scale is included. Who doesn't want to grow food like that! The rest of the book tells you how to achieve excellent nutrient density, how to increase bug and disease resistance, and how to decrease weeds and back-breaking work. I'm thrilled because I feel that at last I have a tool with which to measure my gardening efforts and results. For a list of all the eBooks in the bundle, click here. Heritage Cooking by Lori Elliot is the cookbook to go with it! Her book is a collection of carefully updated heritage recipes from cookbooks just like our grandparents and great-grandparents used to use. Heritage recipes really appeal to me. Growing our own food means growing our own ingredients, so it is the traditional skills for preparing, preserving, and cooking them that I want to master. Modern substitutions aren't bad, but knowing how to take the simple foods we grow on the homestead and turn them into wholesome, 100% homegrown meals is a goal. 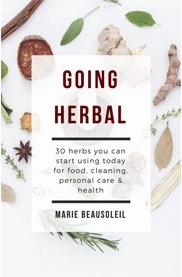 So after taking a look at Going Herbal, this was the second book from the Back to Basics Living Bundle that I looked at. 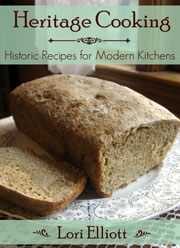 The introductory chapters introduce you to the featured cookbooks, all originally published in the 1800s. Then she discusses how to source ingredients, make substitutions, and includes a measurement conversion chart (very useful) for converting old-fashioned measurements like saltspoons, gills, wine glasses, and teacupfuls. All recipes include the original version and I think the author made excellent choices in her substitutions for modern ingredients. One of the things I find interesting is that a number of the recipes call for part whole wheat flour and part sprouted wheat flour. There is also a recipe for "Homemade Yeast," i.e. sourdough, as well as some recipes for it. I would love to have a paperback version of this cookbook, but unfortunately there isn't one! For a list of all the eBooks in the Back to Basics Living bundle, click here. If you are interested in any particular one and would like me to review it, just ask! 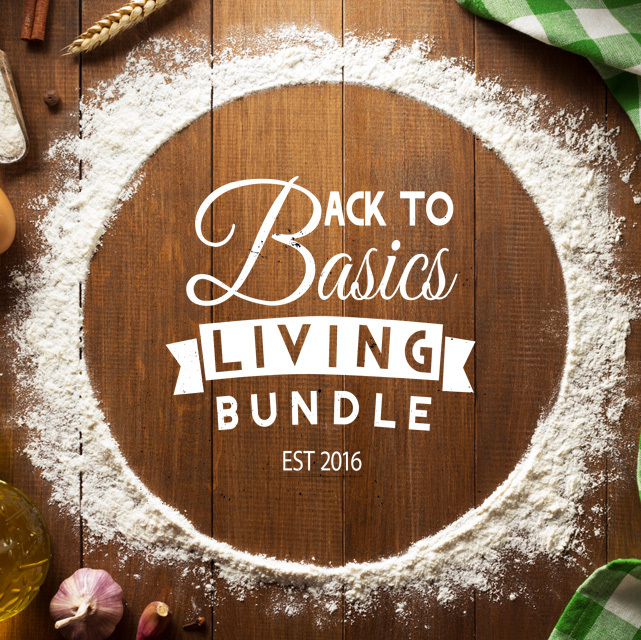 The 2018 edition of the Back to Basics Living Bundle. Sale starts tomorrow. If you aren't interested in buying a collection of eBooks but enjoy book reviews, then come back throughout the week. 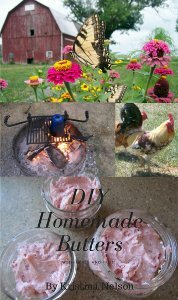 I plan to run a series of daily book reviews on bundle contents covering natural cooking, gardening, preparedness, various homesteading and simple living skills, etc. If everything is going according to the dates circled on my calendar, kidding starts next month! Jessie will be first with a tentative due date of February 5. Violet would be about the same time - maybe. She had a second visit with a buck at a later date. Daisy is a first freshener who is due in mid-February. She's already starting to bag up which is a positive sign. ... Meowy wants to stay indoors! Meowy is 100% farm cat. She loves to prowl, loves to hunt, and loves to be outdoors. She runs into the house only long enough to grab a bite to eat if hunting isn't good, and then it's out and off again. All day long she's busy stalking and catching mice, shrews, rats, chipmunks, rabbits, and squirrels. I've even seen her worry a snake or two. She loves going squirrel hunting with Dan, and is willing to fetch the prey, even though it's almost as big as she is! She's just a wee bit of a cat. Meowy hates rain. When we have long rainy spells she'll come inside, but paces constantly like a caged panther. She'll try to lay down for a catnap, but soon pops up again to pace some more. Every ten minutes or so she'll go to the door and meow, but when either Dan or I open it for her, she just stands there and glares at the rain, tail switching impatiently. Then she'll turn back and give whomever opened the door a good swat on the ankles as though the rain is our fault! Because she's small and lightweight, we've always made her come in at night when the weather gets below freezing. She would prefer to spend the night nestled down in the hay, but we figure she doesn't have enough spare calories to spend on keeping warm. Over the years she has grudgingly accepted this. And anyway, hunting is poor when all the critters worth catching are burrowed deep in their dens for the night. Even so, Meowy is always the first cat out the door in the morning, ready to begin a new day. These frigid January temps, however, have been too much even for Meowy! She not only volunteers to come in, but has been taking long daytime naps indoors as well. That's fine with us, because everything is frozen solid now. She likes to accompany Dan or me when we go out to swap frozen water buckets for fresh, but she's also willing to come back in when we are. You know it's cold when Meowy wants to stay indoors! opportunity to be as comfortable as possible. Do you have a "you know it's cold when ...?" Let us hear it! Happy New Year! Somehow, the middle of winter seems an odd place for the new year to begin, especially in terms of seasonal rhythms. But nobody asked me, so as long as I have new calendars and remember to end the date with an 8 instead of a 7, all is well. 1. Finish the barn. I'm sure that doesn't surprise anyone, and there is still quite a bit to do: finish the roof, then walls, windows, doors, workbench and shelves for feed processing and storage, feeder, pens, hay feeder. Then we'll need a corral with gates to facilitate pasture rotation for the does. That leads to goal #2. Fencing. The bottom line is that we just aren't set up well for a faithful rotational grazing program. What we thought would work, hasn't. Having a number of fences squashed by falling pine trees hasn't helped, but if we have to repair fences, we might as well consider a better subdivision of paddocks. Pasture improvement. The goal is sustainable pasture, but it has been a huge challenge to make it so. I've tried a lot of things over the years and have made some progress, but it's not enough. Grazing rotation is key, but that must wait on the fences. So as we reestablish fences, we will also work toward further soil and forage improvement. 3. House. Another ongoing project, but there isn't much left: front porch ceiling, front bedroom windows, and the back gable end of the house. However, the roof on our little addition off the kitchen is badly in need of repair, so this will have to be the priority house project. So that's it for us. Have you thought about your plans for the new year? Are you continuing with long-term projects or starting something new? May it be a productive year for us all!